Well folks, it’s been a while, so there is a lot to cover. Over the next few weeks, we’ll be playing catch up to go over everything we’ve missed. First off, I want to run through some of the updates we’ve seen on Pinterest. 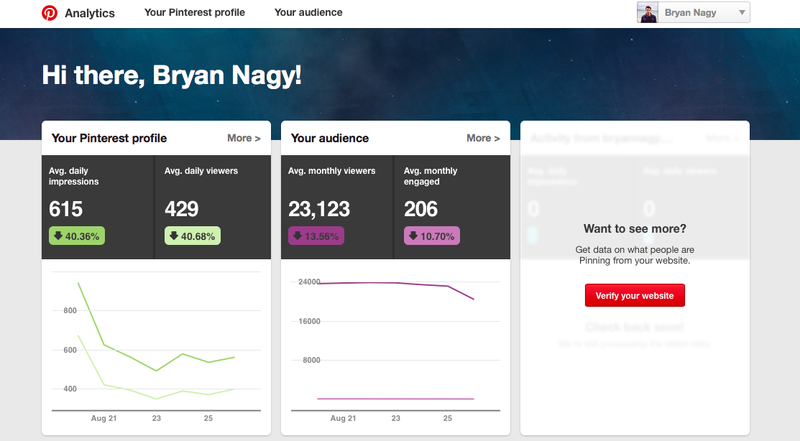 Specifically, the analytics tool that Pinterest updated. The original Pinterest analytics tool was very limited in the information it provided. I covered the tool over a year and half ago, where we discussed the inability for users without a business page to access the tool. This tool has since been changed, allowing all users (such as myself!) to access analytics about their pins without verifying a business website. You’ll notice below that there are still some sections only available to users with a website, but this is because that data provides information about users pinning content on the actual business website and not Pinterest. What we can all access is data about how is engaging with our pins. 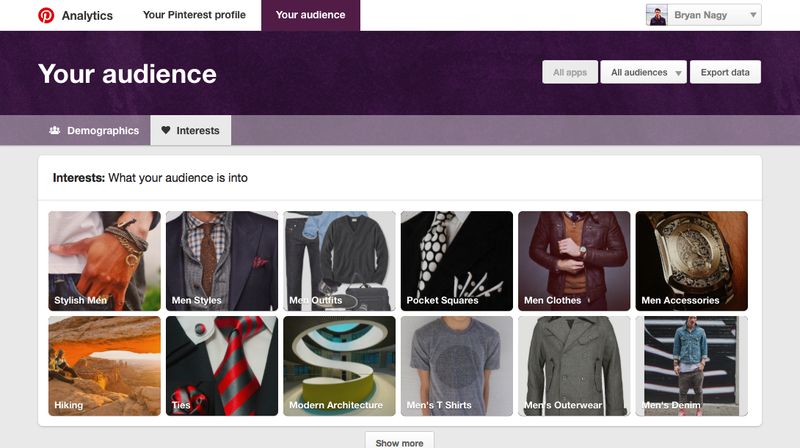 Pinterest Analytics provides strong visuals to see who your audience is and what they like. Pinterest Analytics shows what pins of yours are most engaging with your audience. So you have all of this data- what can you do with it? Use the data to determine who your target audience is. Notice a certain gender? Find content that gender may be interested in. Use the audience interests to properly identify content and pin to relevant boards. Notice female clothing popping? Pin more female clothing content and pin to boards related to clothing. Also ensure keywords and descriptions on your pins are relevant to these interests. Use language data to ensure your content is relevant. Notice Spanish as a top language? Consider adding Spanish keywords to your pins. Use pin data to determine when to repin. If there is one pin lots of people are pinning, repin it! Get more users to engage with it. Dive deep into the pin and see if there was one person with a lot of followers who helped give your pin traffic. If that’s the case, reach out to them. Find out how to work together. It’s a lot of data, but when used properly, you can tremendously help your conversations on Pinterest.